France’s President Emmanuel Macron has opposed starting trade talks with the US, who withdrew from the Paris Agreement on climate change under the Trump administration. Like his counterpart across the Atlantic, Macron took to Twitter to show his resentment. ​“We defend exemplary Europe for the climate [policy]. France opposes launching trade negotiations with the US that is not a member of the Paris Agreement”, he tweeted. He noted that France is not alone in this fight, but insisted that Paris “must make its voice heard in the moment of truth” when the “long-term European project is at stake”. He also voiced France’s commitment to the cause, including concrete proposals like pesticide reduction, carbon neutrality by 2050, and food security. His statements were backed by French Minister of Ecologic Transition François de Rugy who said on Twitter that Paris had voted against approving negotiations between the EU and the US and pointed at the country’s strong environmental requirements in trade agreements. On 11 April, the European Commission received initial clearance from member states’ envoys to start negotiations, designed to mend trade relations between the allies, battered by the tariff row, as Reuters reported. This includes negotiation mandates to discuss cutting tariffs for industrial goods and making products meet EU or US standards easier. However, the mandates, which were initially presented in January, now need final approval from national ministers. According to Reuters, this question is on the agenda of an upcoming meeting of agriculture ministers. While other member states supported the mandates, France has resisted. Paris wanted to exclude agriculture from the talks and discuss climate change provisions. 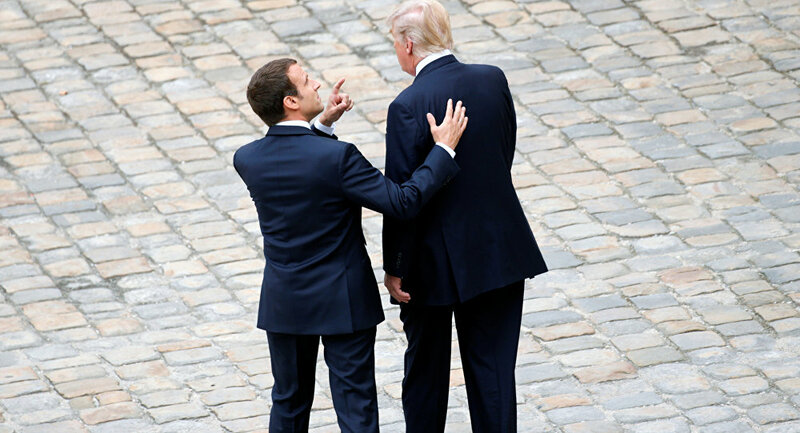 Ahead of the vote, an unnamed official from Macron’s office admitted to Associated Press that France’s demarche against was “purely symbolic”, as others supported the idea. Tensions have peaked again of late after the US president announced that the US was introducing $11 billion worth of tariffs on EU products. The new row erupted over the World Trade Organisation's conclusion, released in 2018, that the bloc had provided illegal subsidies to aerospace firm Airbus which caused "adverse effects" to US rival Boeing. The case has been in litigation for 14 years. Commenting on the announcement, French Finance Minister Bruno Le Maire warned that the US and the EU "cannot allow" a fresh conflict over European plane-maker Airbus. The war of tariffs broke out last year when Donald Trump imposed higher taxes on steel and aluminium imports. Europe responded with counter-tariffs on a number of US goods. However, last July the EU and the US reached a truce as Trump vowed not to impose punitive tariffs on EU cars.